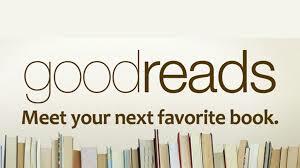 Using Goodreads is one of my favorite ways to find the best romance novels or romantic suspense books. The website launched in 2007. It’s now the largest site in the world for readers searching for book reviews and author recommendations. Have you wondered how does Goodreads work? Or, who should use Goodreads? There is something for everyone, and readers can tailor the experience for what they’re searching for. While some may be under the impression that this website is just for people who post book reviews, or those looking for book reviews. But, no! There are many ways that using Goodreads can help you find the best romantic suspense novels or even the best romantic suspense authors. The search function covers everything and everyone you love to read. It took two years after Goodreads’ inception, but in 2009 it made it possible to follow the authors you love as well as other reviewers. This creates updates based on who you are interested in. You’ll also be in-the-know about new releases or what the author may be working on next. Additionally, you will be the first to know when an author you’re following has a Goodreads giveaway available. You can see who your favorite authors follow. You may even find another author that you’ll fall in love with based on your favorite authors’ interests. Niche groups are an excellent opportunity to get the most out of Goodreads. Groups come in all types of categories since they are user-created. For instance, you can find groups like Books –> Romance –> Romantic suspense, and each of the niche categories will have individual groups, like Unapologetic Romance Readers, which has over 1,200 members. Following these members’ discussions is an ideal way of finding more of what you love. You can always check out some of the sub-genre reviews to get an idea of what others readers like you have enjoyed. Like minded readers are a fantastic place to get sub-genre book recommendations. For instance, if you look at the Shelves section why using Goodreads, there is a plethora of sub-genres on to scroll for new books and their reviews and ratings. Check out the Genre list and see for yourself how many choices there are to find a favorite. Listopia is a section of the Goodreads website that has many user-generated lists of books. Examples include, the Top 100 Romance Novels on Goodreads or All Time Favorite Romance Novels. The lists are vary in how broad or niche the list subject can be. Anyone using Goodreads can vote on Listopia, so, in theory, you get an unbiased look at the results. Listopia can’t guard against author street teams. So, monitor for multiple people only voting for a specific author’s book. The Ask an Author section back in 2014, and there are plenty of authors using Goodreads who participate. This section allows you to submit a question to any author who participates. If they answer your question then you are only notified. Goodreads also posts the question and answer on their author’s page for the rest of the community to see. There isn’t one type of person using Goodreads. It’s not relegated for one type of person, a specific age or a certain type of reader. It’s a community for everyone who loves reading. Goodreads is packed with options, no matter what type of books you like or the author you follow. You can learn more about the author or find books you didn’t know about. Don’t forget to grab book recommendations and reviews on new authors and series that you might have missed out on.